Days after journalist Rob Hiaasen and four colleagues were shot to death by a gunman who blasted his way into the Capital Gazette's newsroom, an overflow crowd gathered on Monday evening to remember the man they loved in stories, poems, and songs. 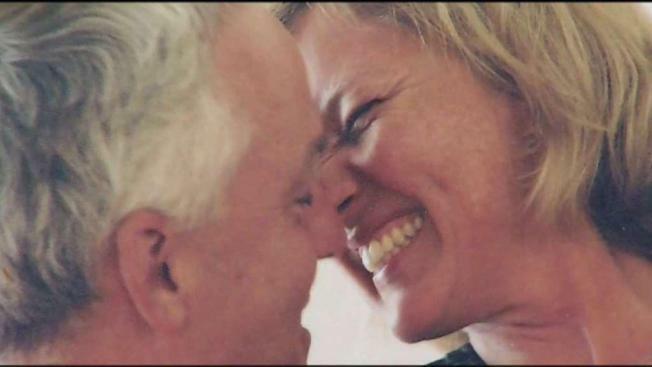 Attendees at the "celebration of life" held at a Maryland nature center said they would remember Hiaasen for how he lived, rather than the way he died senselessly at the hands of a gunman twisted by hate and festering rage. They sought solace with laughter and funny memories, but sobs occasionally punctuated the ceremony. "I want to just remember what a wonderful person Rob was and what a great, wonderful, selfless life he led," said Kevin Cowherd, one of several speakers who addressed the crowd of roughly 500 people assembled beneath a large white tent. Cowherd, an author who worked with Hiaasen for years at The Baltimore Sun, described him as an open, fun-loving man who found humor in everything. As a writer, Hiaasen was versatile and drawn to the quirky, he said. As a colleague, he was kind and encouraging. Hannah Hiaasen, his youngest daughter, said the family called him "Big Rob" — a nickname that perfectly fit the assistant managing editor who stood 6-foot-5. But it wasn't just his height that made the nickname ring true to those who knew him best. "He had a really, really big heart," she said, before reading a poem in her dad's honor. Meanwhile, Maryland police investigating America's latest mass murder said Monday that Jarrod Ramos, the man charged with the slayings, sent three threatening letters on the day of the attack. Sgt. Jacklyn Davis, a spokeswoman for Anne Arundel County police, said the letters were received Monday. Ramos, 38, has a well-documented history of harassing the paper's journalists. He filed a defamation suit in 2012 that was thrown out as groundless and often railed against them in profanity-laced tweets. Ramos was arrested by police after the attack Thursday. He is in custody and faces five counts of first-degree murder. 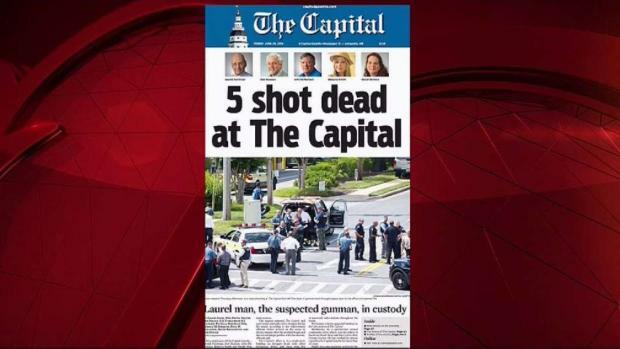 Tom Marquardt, the onetime publisher of the Capital Gazette, told The Associated Press at Hiaasen's memorial that Ramos sent one letter to a company lawyer saying he was on his way to the Annapolis newspaper "to kill as many people" as he could. The letter dated June 28 — the day of the deadly attack — was sent to Robert C. Douglas, a lawyer for the newspaper, Marquardt said. "In that letter, he was talking to the appeals court judge and suggesting that he didn't do a very good job on the case and as a result he was going to have to take out his vengeance in a different way," Marquardt told AP. Letters were also sent to a Baltimore judge, as well as a judge at the Maryland Court of Special Appeals. At the heartrending gathering for Hiaasen, friends and colleagues lauded him as a dedicated professional who was committed to the craft of journalism and loved mentoring the next generation of reporters. He was remembered for his love of family and enduring pride in his job. He made friends easily and had a bunch of them. The Baltimore-based novelist Anne Tyler, whose works include "The Accidental Tourist" and the Pulitzer-prize-winning "Breathing Lessons," joined Hiaasen's family and colleagues to honor the friend she says she already misses. "I loved him dearly. I thought he was smart and funny and wise," Tyler said before the gathering began. The slain journalist's brother, Carl Hiaasen, a prolific novelist and a longtime Miami Herald columnist, on Friday described his younger sibling as "a person of phenomenal grace." Hiaasen had just celebrated his 33rd wedding anniversary with his wife, Maria, whose birthday was on the day of the newsroom attack. His widow, displaying great strength along with the couple's three children, said Rob was her best friend and a loving, generous partner. "I'm going to try and hold him here," she said, clasping her hands to her heart. Associated Press Writer Brian Witte contributed to this report.